After the intensity of Art Basel, stick around in Miami for some post-art peace and quiet. Image courtesy of Rob Hoovis. The Art Deco-inspired Loews hotel. image courtesy of Loews Miami Beach. 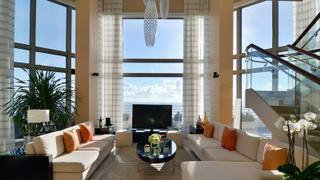 The Presidential Ocean View suite at Loews. image courtesy of Loews Miami Beach. Coral reefs, mangrove forests and manatees can be found at Biscayne National Park. Image courtesy of Creative Comments. The Everglades are a UNESCO world heritage site.Image courtesy of Shutterstock.com. 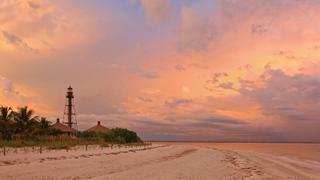 Sanibel is one of the many idyllic islands on the Gulf Coast. Image courtesy of Rob Hoovis. Golfers are spoilt for choice in Florida. Image courtesy of Shutterstock.com. This week (December 6-9), Miami will be alight with parties, A-listers, artists, collectors and critics as Art Basel comes to town. Once you’ve previewed and partied to your heart’s content, Chantal Borciani reveals where to recharge and relax, Miami style. With a clutch of the private residences on Star Island, Palm Island, and the Sunset Islands available to rent, these Miami mansions (many with private docks flanking their manicured gardens) may prove the perfect respite from city life. Alternatively, Fisher Island Club is one of Florida’s most exclusive members communities, offering a beach club, villas, hotel, spa, tennis academy and golf course. This chic country-club-on-water is located across the shore from South Beach and is members only, but yachts can be granted temporary access if sponsored by a member or the harbourmaster. If you’re keen to stick to the water, anchor south of Fisher Island near Virginia Key, where you’ll have excellent access to the ocean – perfect for a blast out on the water toys. Top off your day with lunch or dinner on board with an epic view of downtown Miami as your backdrop. 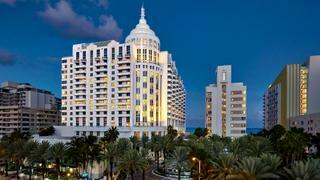 Just ten minutes’ drive from Miami Beach Marina (moorings up to 76m), Loews is an Art Deco oasis that deftly balances a laid-back atmosphere with top-drawer facilities and effortless luxury. If you’re going to steal away for a few nights on land, opt for its breathtaking penthouse Presidential Ocean View suite, which takes pride of place within the hotel’s glass-laden spire and boasts panoramic views of the shimmering Atlantic. 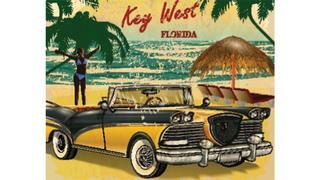 Though some of Miami’s hottest nightspots are within easy reach the on-site hostelries demand attention. Loews’ award-winning fish restaurant, Lure, serves seafood delicacies in its stunning wood paneled dining room thick with well-judged maritime flair. The menu is packed with exquisite sushi, oysters from east and west coasts, Maine lobster and Florida stone crab. SOAK, the hotel’s exclusive poolside club with adult-only cabanas and a private bar, is a tranquil alternative to the sand and surf of Miami Beach. All cabanas feature a full bathroom with shower, indoor/outdoor seating, Jacuzzi, a sun deck and personalised butler service. When you’ve had your fill of the exclusive previews, the sandy keys and calm waters of Biscayne National Park are a soul-soothing day trip away from Miami. Cruise south past the other worldly houses on stilts off Key Biscayne, en route to Biscayne National Park, 15nm south of Miami. 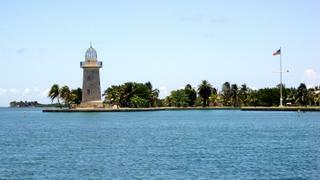 With kaleidoscopic waters, thriving marine life and stunning sun sets, a trip to these most northerly keys is a must. Keep an eye on the depth and tender in to the picturesque tropical oasis of Boca Chita, explore the exotic waters of neighbouring Elliott Key and adventure through the mangroves at high tide to spot sea birds, reptiles and bountiful wildlife. Key West is an idyllic 12-knot, 12-hour cruise south from Miami and offers Bohemian change of pace, superb game fishing and some of the top scuba diving spots in the US. Take the tender ashore or moor at Stock Island Marina Village (vessels up to 91m with a max 4.2 metre draft) and enjoy cocktails on the beach, visit the museums and Hemingway’s home, and soak up the culture. For dinner with a view, head out to the 27-acre private island of Sunset Key from the Westin Resort, where Latitudes serves delicious seafood with uninterrupted views of the Gulf of Mexico. Be sure to book a table in time for sunset. The serene sands of Sands Key lie 10nm south of Key West. Anchor overnight and wake to piercing turquoise waters where you can spend the day snorkelling and relaxing in the calm waters. Young adventurers in particular will love zipping through the UNESCO-certified Everglades on board a private airboat charter. From Miami, cruise north to the superyacht hub of Fort Lauderdale and head ashore to experience one of Florida’s most unique attractions. Climb aboard for a thrill-a-minute day or night ride at Everglades Airboat Adventure at Sawgrass Recreation Park, around a 30-minute drive from Fort Lauderdale. Keep your eyes peeled for alligators, sea birds and reptiles as an experienced airboat captain whisks you through the extraordinary ecosystem. The Gulf Coast of Florida is a perfect antidote to a heavy week of hedonism and offers beguiling islands and tranquil beaches. The spellbinding sands of the Ten Thousand Islands of Florida’s south west coast are a beautiful cruising ground to explore by yacht and teeming with diverse flora, fauna and animals. 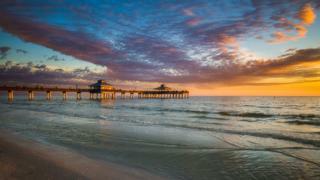 Further north, Naples sits on the shores of the balmy Gulf of Mexico within easy reach of the boating hub of Fort Myers. Naples is a moneyed town with charming boutique shops, sprawling properties and flour-soft sandy beaches. The vibe is more relaxed than the east coast but no less glamorous. 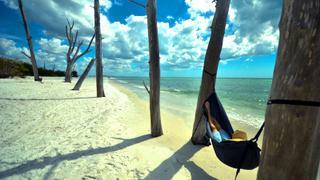 By Fort Myers the coast is flanked by a string of wildly stunning barrier islands including Sanibel and Captiva. Nature is king on these shores with vast swathes of white powder-soft sand beaches, spectacular sea birds and abundant nature reserves. 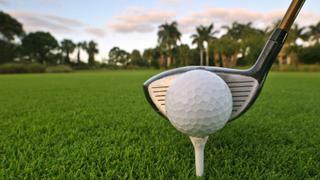 Golfing enthusiasts can cherry pick their way around Florida and be spoilt for choice every time they land ashore. On the west coast, Hammock Beach, A Salamander Golf & Spa Resort, is ranked as one of the top golf resorts to play in Florida and has two golf courses that have played host to PGA events. Six holes on the Jack Nicklaus-designed Ocean Course flank the Atlantic, while inland the Tom Watson-designed Conservatory course has 140 sand and coquina bunkers, plus three sod-faced bunkers, a nod to his affinity for British links-style golf.